Currently in production is a new web site for Dr Cathy K. Naughton of Metropolitan Urological Specialists. Dr Naughton has brought new specialities to the practice, which we are featuring in the new web site. 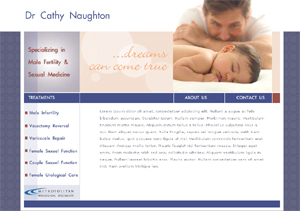 Currently in production is a new web site for Dr Cathy K. Naughton of Metropolitan urological Specialists.